Soil analysis is the most important tool available to anyone considering the construction of a sports surface, without scientific analysis the suitability of materials to be used cannot be evaluated. Soil analysis can determine the suitability of raw materials; it can be used to monitor the Rootzone or topdressing manufacturing process, and can verify the exact specification of a finished product. 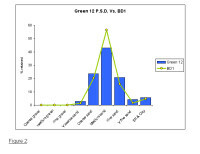 Particle size distribution analysis is a primary indicator of material suitability. If the Rootzone meets the desired particle size distribution, then further analysis, such as hydraulic conductivity and porosity can be evaluated. If a material does not meet the particle size distribution criteria it should be rejected and no further testing of that material need take place. One area of concern, is the way in which particle size distribution is described in the sports surface construction and management sector, professional jargon such as 80/20, 70/30, and 60/40 are all terms used to describe Rootzones. 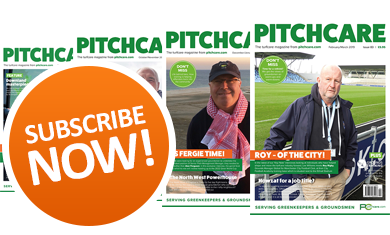 Whilst one might have a notion of what these terms mean and what performance one might reasonably expect from them, they are not robust enough to adequately describe the particle size arrangement needed when determining the suitability of a Rootzone, for its eventual use. The use of Particle size distribution analysis allows all parties involved in the construction process, to be much more precise in the way that they describe their requirements. Rootzone and topdressing manufacturers need to demonstrate an ability to provide a reliable, prompt, competent service, and must have the infrastructure to manufacture their products to a required standard; a soil analysis laboratory should be a part of that infrastructure. Whether constructing an 18-hole golf course or a village bowls green, the Rootzone material should meet a defined recommendation. The use of a Rootzone material, which has not been tested, can lead to the failure of the surface. Although the initial installation cost may be higher, the long term costs, of rebuilding a failed green, or the lost revenue, because the Rootzone surface is unplayable due to poor performance characteristics, more than justify the use of a quality controlled sports surface construction material. Baileys of Norfolk has had a Rootzone laboratory in place since 1995. This is used both in quality control of the finished product as well as analysing customers' existing Rootzone in order to provide maximum compatibility. If it is deemed appropriate, then a custom blend will be manufactured & supplied to match the existing physical conditions exactly. When unsuitable materials are used on a sports playing surface, for example, a top dressing that bears little or no compatibility to the Rootzone material that is currently in place, then capping-off of the existing Rootzone may occur. The most common symptom of this is "root-break". 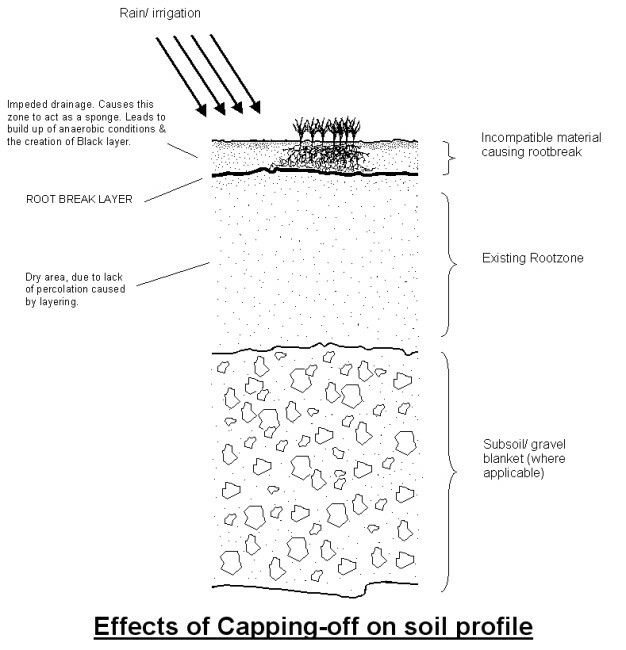 Layered or capped - off turf will have several undesirable effects. Turfgrass root systems cannot grow through layers. A poorly developed root system will lead to inferior turf performance. 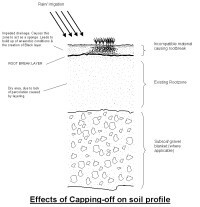 Capping, at its extreme, can prevent turf emergence and in lesser form restrict early plant growth until roots and stems develop sufficiently or the capped layer is broken. For this reason a physical analysis by a competent lab of the existing greens' Rootzone should be undertaken and the dressing under consideration should be closely compared to any dressing that is going to be employed. One factor that should be scrutinised is the organic matter content of the existing Rootzone compared to any material to be added to the turf. Good soil structure is hard to maintain in Rootzones low or devoid of organic matter. The typical organic matter content of a well-established playing surface is typically in the region of 6% w/ w. The laboratory method used to determine the concentration is the "loss on ignition test". This test involves an accurately weighed mass of dried and ground sample from the Rootzone under investigation. This sample is placed in a furnace set at 800 degrees Celsius for two hours. All organic matter is vaporised. The sample is cooled and reweighed. The mass of the material that remains represents the soil's inorganic content. Thus from the original mass the organic matter content can then be determined. Organic matter content of a soil acts as the cementing agent that enables finer particles to bind together or aggregate. Finer particles of silt and clay detach from aggregates and move a short distance into the soil, blocking pores, so infiltration of both air and water through the soil surface is reduced. When dried, a dense layer can form a solid layer with resulting loss of percolation and infiltration. This effect may also occur in freshly constructed and seeded sports pitches and greens. 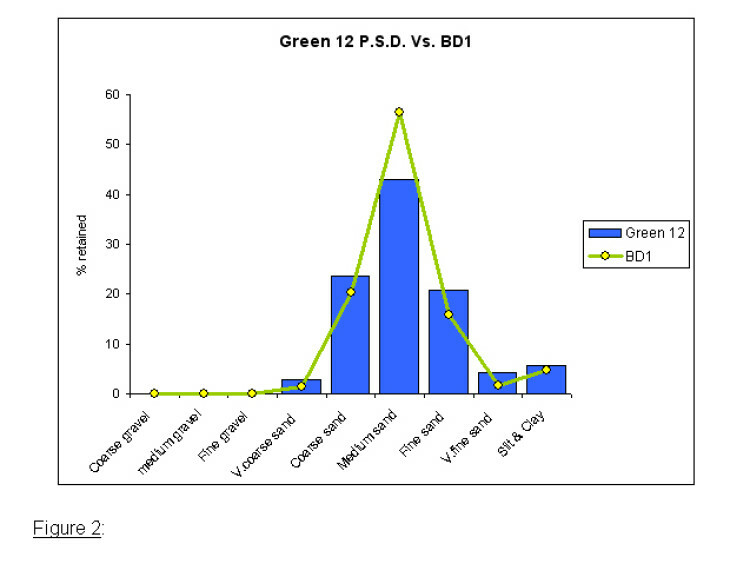 Using actual data obtained from a golf club Rootzone analysis a few years ago. It can be seen that when a sample is compared against the particle size distribution of the existing Rootzone of the 12th green from this course, (Figure 1) it is immediately apparent that the first material if used as a dressing, would be completely unsuitable. If this material were to be applied as a dressing then capping is likely to occur. 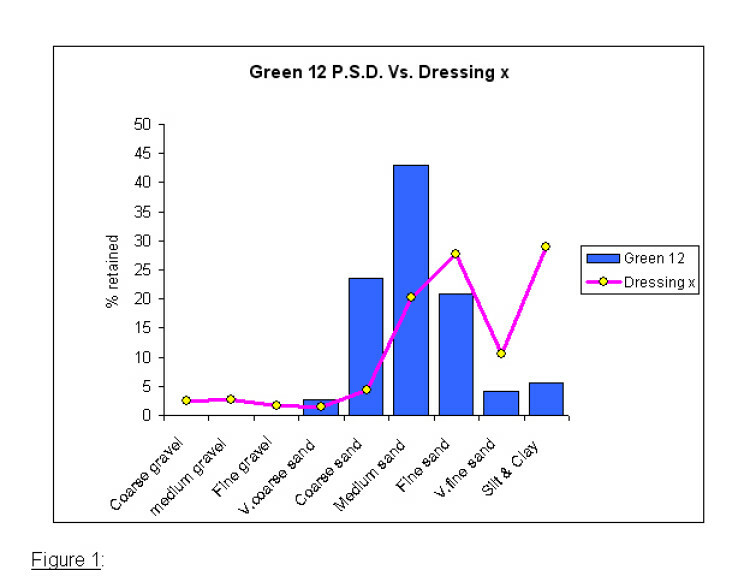 Looking at the second graph, (Figure 2) the Particle size distribution of the 12th green is compared to a dressing - BD1, that is accurately formulated to meet the USGA United States Golf Association) specification. The two respective particle size distributions are then superimposed on the same graph, it can be seen that there is a close correlation, therefore this material is fit for purpose. In the above example a Golf Green was used, the same principle applies to winter games pitches. If the first material (in this case - dressing x), were to be used then capping would have a high probability of occurring. 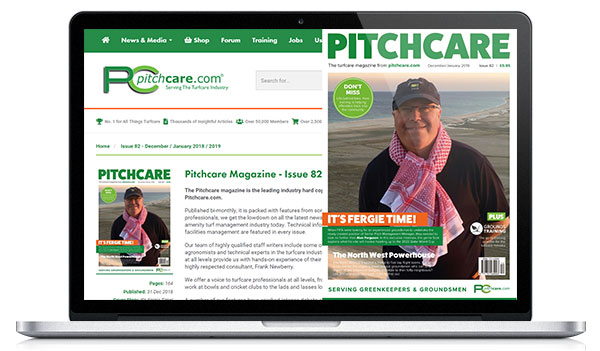 Having an analysis undertaken and a comparison made, is the most effective way for the Turfgrass professional to make the right choice of material. 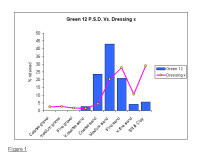 It can be seen that the product labelled "dressing X" contains a higher proportion of fine materials than the existing Rootzone. It is this finer, smaller matter, that has the potential to pack together more readily therefore making the applied dressing prone to aggregating together to form this dense layer. Alan Bailey, the Managing Director of Baileys of Norfolk recalls one outstanding example of poor golf - green construction that resulted in strong layering. He recalls "In the late 1980s, a certain golf club in South Norfolk had several loads of sand that was of unknown origin and unknown specification tipped into the greens that were then under construction. This was followed by a load of Fen Rootzone that had been produced by recycled vegetable washings, from a Lincolnshire carrot factory. This tipping process was repeated, so this meant that the Rootzone profile looked like an Angel cake! These layers were about four inches thick." Mr. Bailey went on to say " The result of all this was that the greens would neither drain or perform in any acceptable manner whatsoever"
The consequence was that the greens had to be dug up and a properly manufactured Rootzone of the correct specification supplied by Baileys was then substituted. Knowing the correct specification of a material for its selected use has the advantage of correctly selecting the right material for the job. 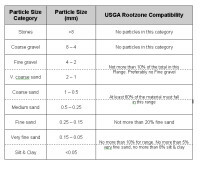 In the case of Golf greens' Rootzones & topdressings the United States Golf Association (USGA) specification is used. 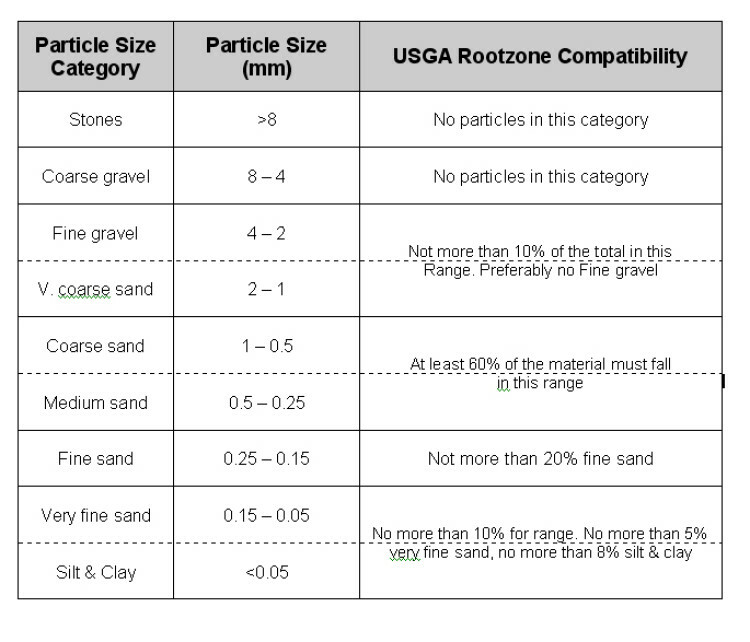 The table below represents the USGA specification for golf dressings and Rootzone. It can be seen from this summary that there are strict ceilings placed on the quantities of the coarsest and finest particles. The silt & clay fraction should, as has been mentioned before, add up to no more than 8%, neither should there be a presence of any particles that exceed 4mm in diameter. A golf dressing should ideally conform to this USGA specification. So, to avoid layering occurring in your turf's soil profile then make sure that you get a physical analysis undertaken on your existing Rootzone. 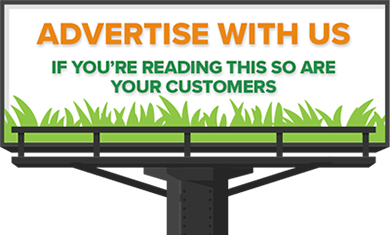 Compare this against any products that you are considering using or are currently using. Ask your current supplier for an up to date specification sheet for the material that they provide. A close correlation between both the particle size distribution of the existing Rootzone and any material that is to be added, will mean a low probability of layering or capping-off occurring, and thus the likelihood of rootbreak will be minimal.